Children come into this world with little knowledge of the world around them. As they grow they explore their environment, acquire knowledge about social norms, facts, and what is expected and accepted. For children with autism the expectations are the same. Learning how to interact with peers, teachers, and parents is a process that each developing child navigates. Take a moment to think about your own experiences when trying something new. If you’ve never tried a specific activity before, it may bring up a sense of the uncertainty, a concern of failure or that you might not enjoy it. On the other hand it could bring an exuberant enthusiasm of getting to do something that might be awesome! 1. Recognize stressors that trigger anxiety. Children with autism may have fears including: insects, snakes, mechanical toys or machines that move, storms and weather related disasters, loud noises such as vacuum cleaners and blenders, crowds and small spaces. 2. Communicate with your child about daily and upcoming activities. Use visuals, schedules, and even stories to relay how upcoming activities or the daily routine will look and feel. Some parents have also suggested acting out scenarios for their children or using a social story. 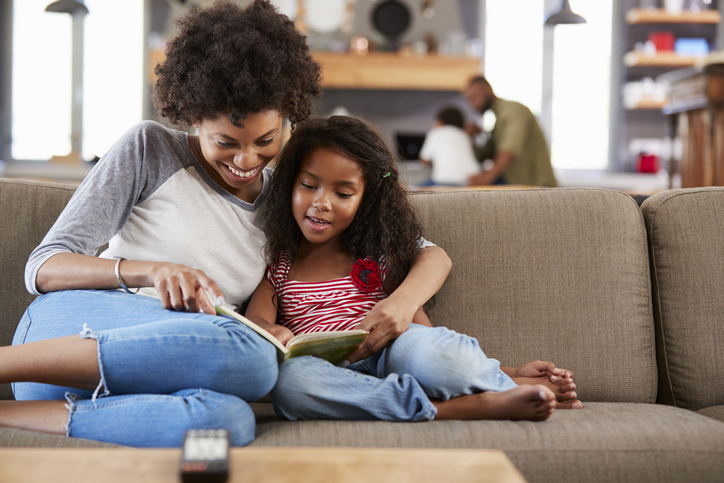 By modeling upcoming events through a social story, children may be more likely to handle the situation in a calm manner. 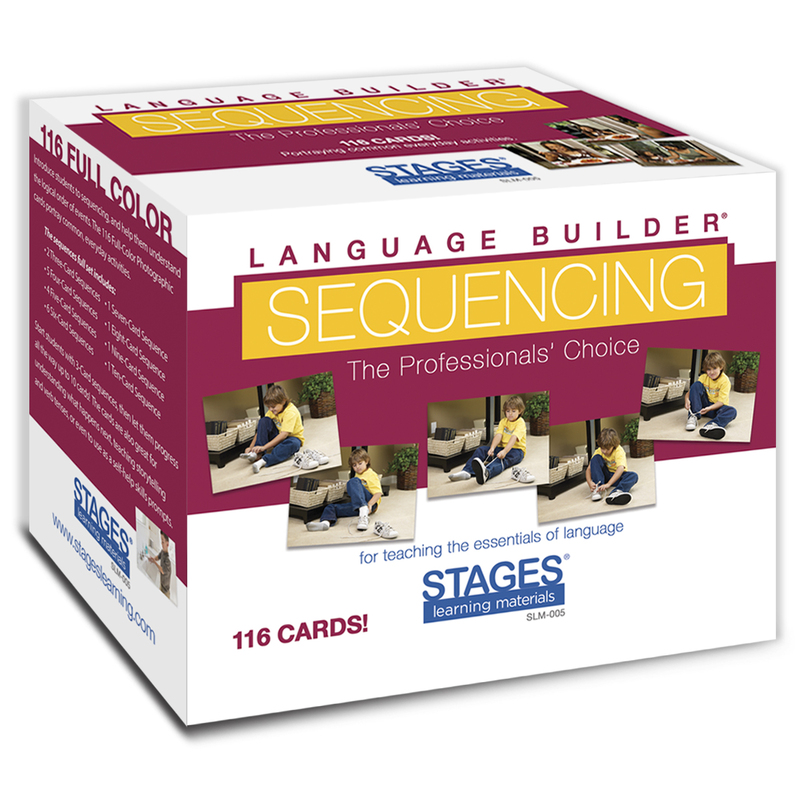 Stages Learning Language Builder Sequencing Cards help children navigate transitions by providing visual cues as to what is going to happen next such as washing hands, brushing teeth, or what is involved in going to the grocery store. Because children with autism are frequently visual learners it can help children understand a social story by providing a set of cards indicating next steps. Inform your child ahead of any anticipated experiences. Bring familiarity to experiences by introducing things slowly and repeat the occurrence often, so that it becomes familiar to the child. The 2017 research article by O’Nions et al., discusses some of these strategies that parents use. 3. Think from the perspective of your child. 4. Have a familiar routine for transitions. 5. Find time to relax. I am talking about you- Parents, Caregivers, Teachers, and Specialists! For all of you loving caregivers you need time to relax and nourish your soul. Your mental health is as important as your child’s. Having a child with autism can be stressful at times and put strain on family life, to no intention from the child. Find the things you love, that ground and nourish you, and carve out time to do these activities. Being able to support your child through anxiety also means being able to give to yourself. 6. Provide structure and activities. 7. Cognitive Behavioral Therapy may be helpful. Therapy is personal to the individual. Cognitive Behavioral Therapy (CBT) has been used with children to expose them to and familiarize them with stressors and fears that cause anxiety. By doing so it conditions the individual to feel more comfortable around these stressors, reducing his or her anxiety. The study linked here by Clark et al., showed positive outcomes for children with autism in a school setting and discusses some child reported stressors. 8. Keep clear and open communication between caregivers at home and school. 9. Make goals achievable for the child. 10. Recognize when behavioral disruption is related to anxiety. Arielle is a senior learning experience designer and writer who has created online, print, and blended educational materials for a diverse range of learners. Her academic background in the principles of education, neuroscience, and psychology informs her work in enhancing comprehension and promoting a sense of exploration in the design and facilitation of educational products.